Believe it or not, these are tough times for vendors of trophy houses in the leafy avenues of Hampstead, Highgate and St John’s Wood. Veteran north London agent Trevor Abrahmsohn, of Glentree International, attributes the recent slowdown to the ‘ill-conceived’ tax changes introduced in the March 2012 Budget, which saw the top rate of Stamp Duty rise from 5% to 7%, complex new rules on corporate ownership and the reform of Capital Gains Tax for non-UK residents- all with obvious implications for international buyers. ‘We now have a distorted marketplace, with not a cloud in the sky for houses worth less than £2 million, but one buyer for every house priced at more than £10 million, where, previously, there were nine,’ Mr Abrahmsohn laments. 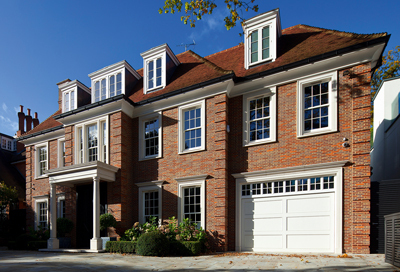 Consequently, it’s a buyer’s market in exclusive, gated Courtenay Avenue in Kenwood N6, where Glentree International (020-8458 7311) offer a choice of three elegant mansions-the traditional Bracken Knoll (£11.2 million) and Red Gables (£15m), and the newly built Heathways (£25m)- which together provide an insight into the arcane workings of London’s trophy marketplace. Following the trend established in the golden postcodes of Mayfair and Belgravia, north London is now abuzz with ‘new for old’. The drive to provide the amazing indoor spaces demanded by wealthy international buyers is reflected in the ultra-modern design of the luxurious, neo-Georgian Heathways; the planning consent granted for a 4,800sq ft extension at Red Gables, which already boasts more than 8,500sq ft of living space; and the plans for a substantial extension submitted by the owners of the gracious, 5,390sq ft Bracken Knoll. Tim Wright of Knight Frank agrees that many international buyers put their plans on hold in 2012 and that it wasn’t until the full details of the new rules were revealed, in December 2012, that the market for £10m-plus houses began to recover in the key central London areas. Knight Frank sold more than six such houses a month in the last quarter of 2013-one-third to UK-domiciled buyers and the rest to buyers from Russia or former Soviet Union countries. ‘Generally speaking, overseas buyers are looking for turnkey properties: it’s hard to oversee a project from an office in Moscow,’ adds Mr Wright. 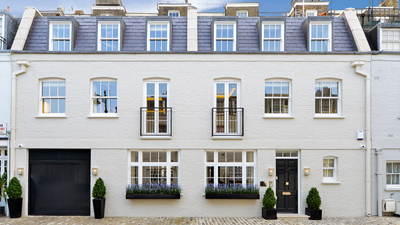 No such problem arises in the case of one of Belgravia’s most spectacular new houses, the immaculate, double-fronted Chesham Lodge, in discreet Chesham Mews, SW1, which is for sale freehold through Knight Frank (020-7881 7722) at a guide price of £14.75m. Built on the site of two previous mews houses, Chesham Lodge offers the substantial lateral space beloved of international buyers, including a large reception room, a kitchen/breakfast room, a family room, a cinema room, a gym and steam room, a master suite, three en-suite bedrooms, separate staff accommodation and a garage big enough for a ‘good-sized’ family car. For more than 30 years, Lulu Egerton of Strutt & Parker has watched the buyers come and go within the three square miles that make up London’s golden property heartland. The overseas buyer’s taste for lateral living is reflected, she says, in the £7,500 per square foot paid by a client recently for an apartment at One Hyde Park, Knightsbridge, whereas a six-storey Georgian or Victorian house in Knightsbridge or Chelsea of similar volume is probably worth about £2,500 per square foot. Miss Egerton sees the super-prime market in London as currently dominated by two main types of buyer- those based in less stable parts of the world, whose principal goal is long-term wealth preservation, and those for whom London is the ‘diamond capital of the world’ and a wonderful place to live. For the latter group, the charm and history of central London’s elegant squares and terraces are important elements, but, behind the gleaming stucco walls, these houses are also being refurbished to contemporary international standards. 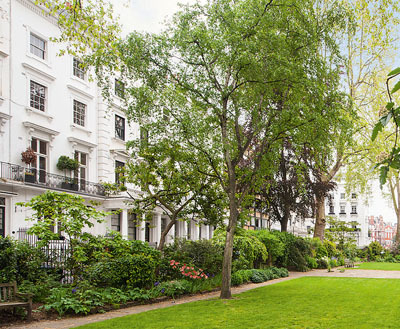 Strutt & Parker (020-7225 3866) and Christie’s International (020-7235 9959) quote a guide price of £10.25m for the freehold of stately 8, Ovington Square, Knightsbridge SW3. Built in the early 1850s by Baroness von Zandt, who inherited the land from her father, James Standerwicke of Ovington House, Hampshire, the property has had a succession of aristocratic owners, including the Countess of Narbonne in 1860 and Henry FitzClarence, a grandson of William IV, in 1895-1930. The splendid six-bedroom family house, which overlooks a private communal garden, has been meticulously renovated to provide 4,103sq ft of well-planned reception space, including a wonderful first-floor drawing room, an open-plan ground-floor kitchen, dining room and breakfast area and a trendy media room opening out into the garden at lower ground-floor level. And, right at the top of the house, a superb double-height studio room Another princely purchaser may be tempted by the launch onto the market, in 21st-century guise, of Heath View at 85, Clapham Common West Side SW4, one of the last substantial private villas to be built between Wandsworth and Clapham in the mid-1800s and one of only five large houses with uninterrupted views over the Common. 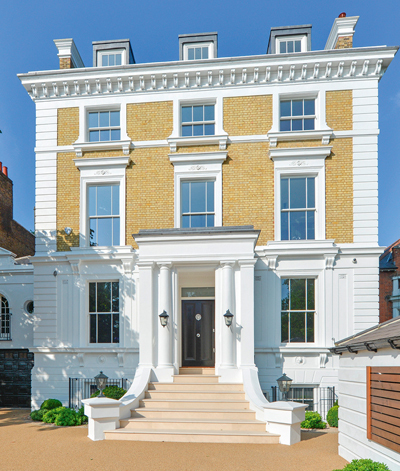 Savills (020-3428 2222) quote a guide price of £12.5m for the former workingmen’s club, which has been transformed into a 9,500sq ft luxury home that combines state-of-the-art technology with impeccably restored period features in its reception rooms, seven bedrooms and seven bath/shower rooms. 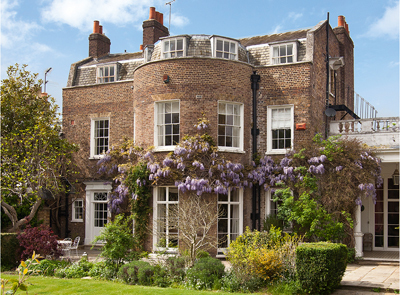 In contrast, the genteel ‘shabby chic’ of Grade II-listed Percy Lodge, at East Sheen SW14, is more likely to appeal to an English buyer coming out of London, says Shenagh Richardson of Savills‘ Barnes office (020-8939 6913), who quotes a sub-trophy guide price of £9.95m for the former hunting lodge built for Hugh Percy, Duke of Northumberland, in 1740. Believed to be the only 18th-century house still standing in East Sheen, the classic Georgian Percy Lodge stands protected by a high wall close to the 2,360 acres of Richmond Park and still retains its original stable block. The house has accommodation on three floors, including a magnificent drawing room (the former ballroom) and dining room, the doors to both of which were gifted by Spencer Perceval, the only British Prime Minister (1809-12) ever to be assassinated. Previous owners of Percy Lodge include the architect Robert Atkinson, who saved it from demolition; Virginia Woolf’s great-aunt, the photographer Julia Margaret Cameron; and, more recently, David Jacobs, the late broadcaster. has French doors opening out onto a terrace. ‘I’d live there myself any day,’ Miss Egerton exclaims. The recent surge of French families relocating to south-west London (grace à M. Hollande) and the American government’s decision to build its new embassy at Nine Elms, Battersea, have helped to boost the international credentials of Battersea, Clapham and Wandsworth, says Robin Chatwin of Savills, who, last year, recorded their first sale to an Arab prince in the area.